eKare Inc., a medtech company based in metropolitan DC area, announced the establishment of its Scientific Advisory Board comprised of some of the country’s foremost wound care experts. 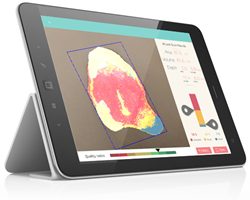 eKare provides advanced wound imaging technology, including 3D wound measurement and tissue classification, at the point of care on mobile devices. Backed by expertise in wound care, dermatology, podiatry, vascular, and plastic surgery, eKare’s new Scientific Advisory Board will play an important role in steering the strategic direction of eKare’s wound imaging and analytics platform. Paul Kim, DPM, Medstar Georgetown University Hospital, Washington, D.C.